I am not much of a cocoon person, on the contrary I am the butterfly type who is attracted to colorful personalities and loves spending time with friends, family and colleagues. I missed connecting on a positive note a lot of last year and often felt as if I was set on "auto" to get through the days. I want to connect with my family more deeply. My cousins, aunts and uncles are scattered across the globe and we lose touch of each other every now and then. I want to develop my relationship with them on a more regular basis by corresponding with them and hopefully organize a big family reunion this year. I want to engage more profoundly with my husband. As he works in a different country during the week our time is limited and often we fall into a routine of doing the necessary forgetting that we need the twosome time. I want to change that and schedule date nights for just the two of us. I want to listen to him and his thoughts more openly. I want to learn to depend and lean on him more when I have worries. I would like us to spend an evening or two a month with a bottle of wine reading to each other or playing chess or scrabble. Although Soeren and I spend a lot of time together and we already have some fantastic rituals, I want to enhance them further. We’ve already started on a good route – on three evenings in the week we write our gratitudes and celebrations for the day in our journals. We cut, paste, draw and paint – reading to each other from the journal. It has become our serenity zone bringing us down and making us grateful for the time with each other. I also want to spend more one-on-one time with him outdoors as we are both very active and energetic people. Due to the knee accident / surgery last year, I was very restricted with outdoor activities, often missing out on bike rides, inline skating or hiking. I still need to take it slowly with these activities this year but can ease into them slowly. I’ve taken Soeren on a few photo walks with me in the past and I’d like to intensify this further, doing it on a monthly basis. I want to spend more time with my friends. Getting together with them more regularly again for dinners, picnics, brunches or just for long walks in the park. I want to pick up on the bimonthly girlfriend cooking evenings again. I want to connect with my blog/social media friends more genuinely. Instead of a quick tweet or a Facebook like, I’d like to interact with them on a different level. 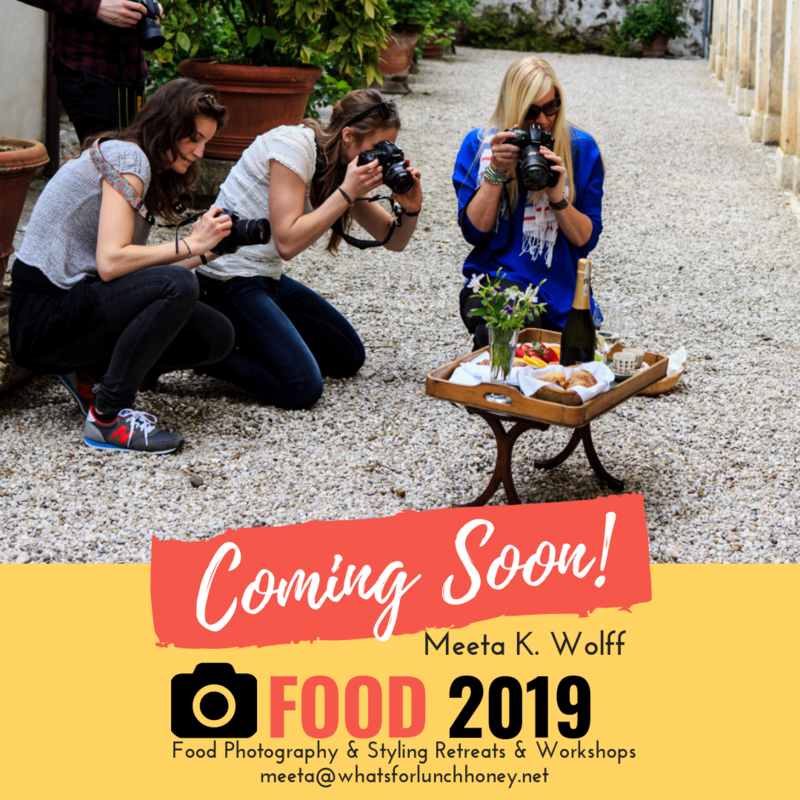 I’m already working on a little idea of mine for this – I’ll keep you posted as it develops! I also want to continue connecting and teaching my students at either my workshops or in the e-courses I am giving. I want to indulge in myself this year. Take a gear down and slow down a bit. With all the things I have planned and want to achieve, it might not seem like I am slowing down but my focus lies on what comforts my soul and makes me happy. I want to feel free – carefree again without feeling the constriction I often felt last year. I plan to re-connect with body, mind and soul – and I want to do it consciously, with awareness and … savor it. With the roller-coaster circumstances of 2013 I was not able to train or do any kind of sports, I did not read as much as I often do and the contact to my inner self got disconnected. 2014 will mark my comeback as I focus on my health, my state of mind and take a journey inward. I am back at the gym twice a week as of last month and will build up my strength and stamina over the next month. I would also like to start running / walking once a week. This would be great to combine with a girlfriend, my husband or my husband and son. To rest my ever active brain I plan to get 7 hours of sleep during the week and 8 on the weekends. To feed that active brain - read 25 books this year! My happiness journal is therapy for me and it helps me connect with my inner self. I am totally enjoying writing down my thoughts and ideas. The great thing is that by defining the negative issues in a more positive way makes me look at the issue or the problem in a totally different light. I start and end the day with my journal sometimes with Vivaldi and Bach other times with the chorus of the birds outside. I am not much of a artist but I have bought color pens and pencils and am doodling in my journal – making the first connection with the artist in me! My journal is also a place for happy ideas, collections and celebration – as the pages fill up it inspires me on so many levels. 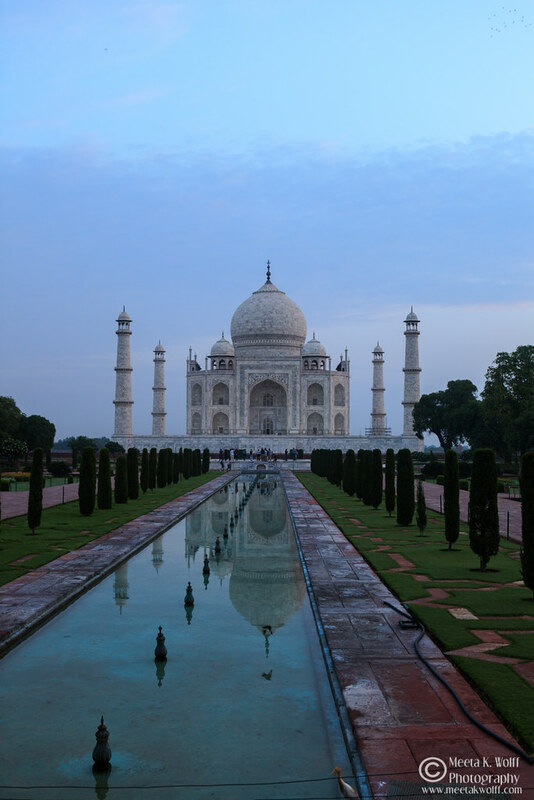 The best thing is … I am connecting with my writing again! I will breathe more and take a break! I know this … I have always trained myself to find little islands during the day, which help me re-align. Be it a short walk, a little dance or just reading a poem I’ve always found a way to come down. I need to get back on the track. When I feel the pit of worry or panic rising, I will take a moment, close my eyes, flag it – then I will allow things to relax and only then will I act … not react! I will connect with my body, my soul, my heart and my mind. I will slow down and move deliberately. I will get quieter. I will listen more talk less. I will thank. I will show my gratitude. And I will continue to connect and share my passions, the images, thoughts and stories with you right here. As the temperatures begin to fall, the biting cold and clammy foggy days have taken over. There is crispness in the air, tickling the cheeks and nose pink. Coming back home after a long day, warming fingers on a steamy cup on milky tea we crave warming comfort foods. Nothing beats a rustic risotto that satisfies and brings warmth. 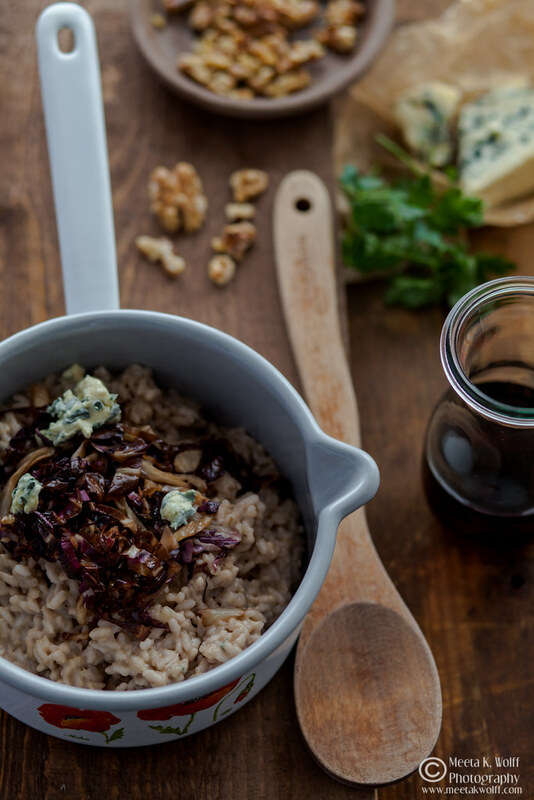 This risotto, although bringing together distinctive flavors of radicchio and Roquefort, is homey, rustic and fuses the best of Italian and French ingredients. Using a dry red wine brings on more bold flavors and is wonderfully delicious. In a frying pan heat 1 tablespoon of olive oil over medium heat. Once hot, toss in the radicchio and sauté, stirring often, until the edges begin to turn golden - this should take about 3-4 minutes. Transfer to paper towels to drain. Set aside. In a large pot, heat 1 tablespoon butter and olive oil together, add the chopped shallots and cook until translucent, about 2 minutes. Add the rice and stir until it becomes opaque, which should take about 2 minutes. At this point add the wine and as it bubbles, allow the rice to infuse with the wonderful aroma. Stir constantly, until all of the wine is nearly absorbed, 5-6 minutes. Reduce the heat to medium, add a ladleful of the hot broth mixture, and cook, stirring every now and then, until the liquid is almost fully absorbed. Continue adding the broth, a ladleful at a time until the rice is tender but still slightly firm in the center and creamy. By “massaging” the rice this way you release the creamy starch from the rice giving the dish a fantastic creamy consistency. This whole process takes approx. 15-20 minutes. The rice grains should be soft but still have a slight crunch to them. Now add a bit of salt and pepper, but be careful as the stock is normally salty enough - so please taste before! Take the pot off the heat and stir through the Parmesan and the remaining 1 tablespoon butter. Mix well and cover. Allow the rice to take on all the flavors - 2 minutes. Giving the risotto this time allows it to unfold it's perfect creamy-moist consistency. Check and adjust seasoning. Stir in the radicchio, crumble some of the Roquefort cheese over the top and serve in warmed bowls, topping the risotto with the toasted walnuts, more Roquefort if desired and some parsley. Notes: You can use any dry red wine for this making sure it’s a good one so you can serve it with the meal. I used a fantastic Merlot, which is typically tannic and complex with a core of dark fruits. Some of the flavors and aromas in the wine included dark cherry and stone fruits, which paired well with the bold Roquefort. Alternatively a Pinot Noir would work brilliantly as would a Cabernet Sauvignon or a Malbec. 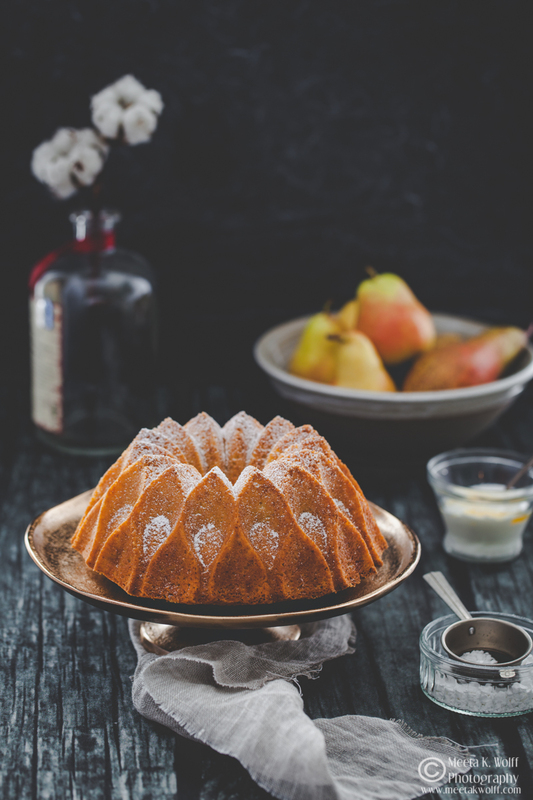 This is the perfect dish for one if you want to connect with your inner self. 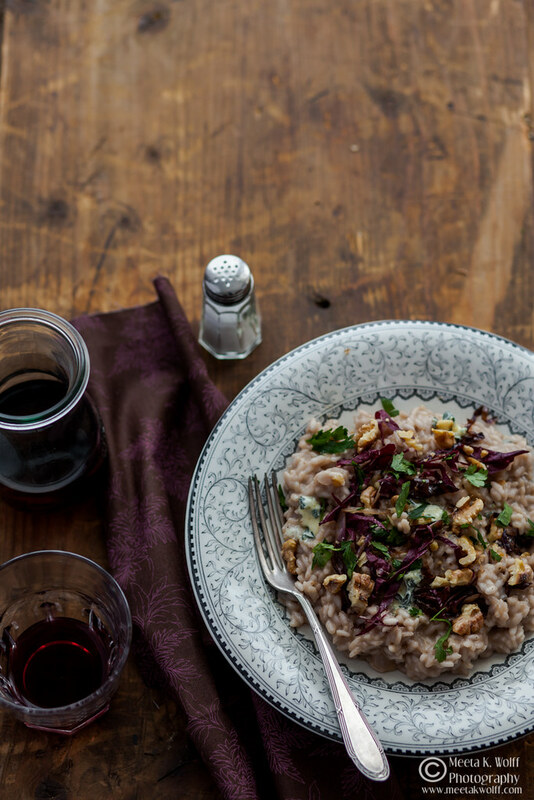 Pull up a chair by the window, tuck a napkin onto your lap and simply laze into this risotto. Or invite your friends, open up a few bottles of red wine and spoon large steaming portions onto warmed plates and savor the moments. Thrilled to share some great news with you. My quarkkeulchen with blueberry compote is featured in Elle India’s current issue under the Elle Gourmet section. 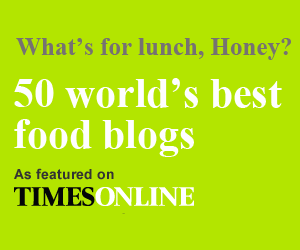 The feature portrays breakfast dishes from 5 bloggers around the globe. I am in good company too. I was delighted to be a part of the media in India … makes me beam from ear to ear. If you are in India please go get your hands on a copy and enjoy a few moments reading about some of favorite breakfast dishes. For those who cannot get a copy … you’ll find the recipe and the story behind the Quarkkeulchen with Cranberries and a Cinnamon Blueberry Compote here. A fabulous risotto and gorgeous pictures! Great recipes. You're right it helps to I want to connect with our inner self: rich, yummi, and even healthy. Congratulation for your recipe on Elle India and for your great 2014 goals. This year I'm more on "do and don't be afraid of your dreams" side. Each time I read your posts I feel connected Meeta! As if we were still at the table chatting. You have a powerful spirit that shines through your words and images. I'm about to make friends and dig deeply into that bowl of risotto! That's a very nice recipe. 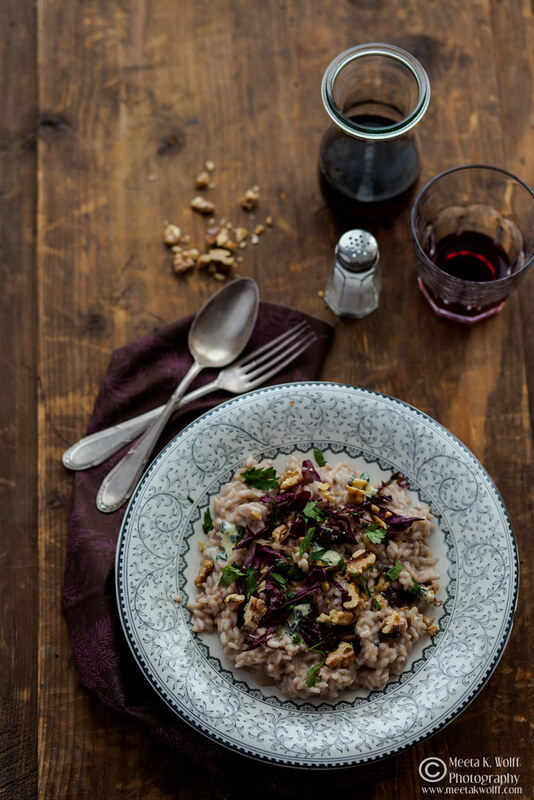 I love radicchio in risotto, but never had red wine in it. Will try that. many thanks ! Beautiful post. You sent me plenty of positive vibes. It is amazing what the start of the year can do to us. It is important to embrace this rejuvenating energy and feel optimistic. Congrats on being featured in ELLE India. what a wonderful colour scheme, perfect! Congratulations on the spread in ELLE India! Yay! 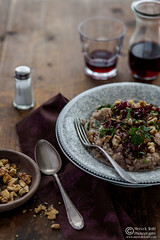 And what a gorgeous risotto and photos. 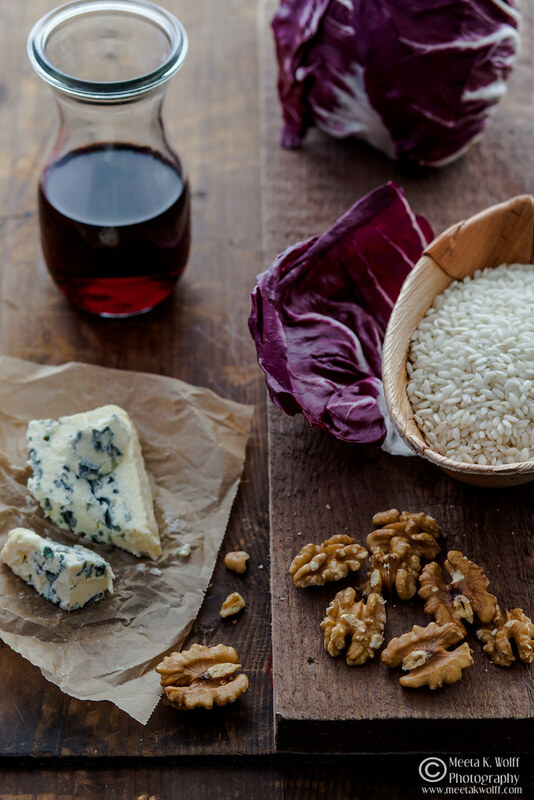 I adore radicchio, and blue cheeses and bringing them together is wonderful. I will try this. And oooh I have been trying to focus on personal goals and I hope you have the fortitude to stick you yours. We all need to follow those same rules. First off, let me just say... Butterfly, butterfly, flutter into the sky... ;o) Oh such gorgeous photos! I love risotto and I love the earthy flavours in this one. Need to cook with radicchio more this year - maybe I can get to grow it on the allotment? 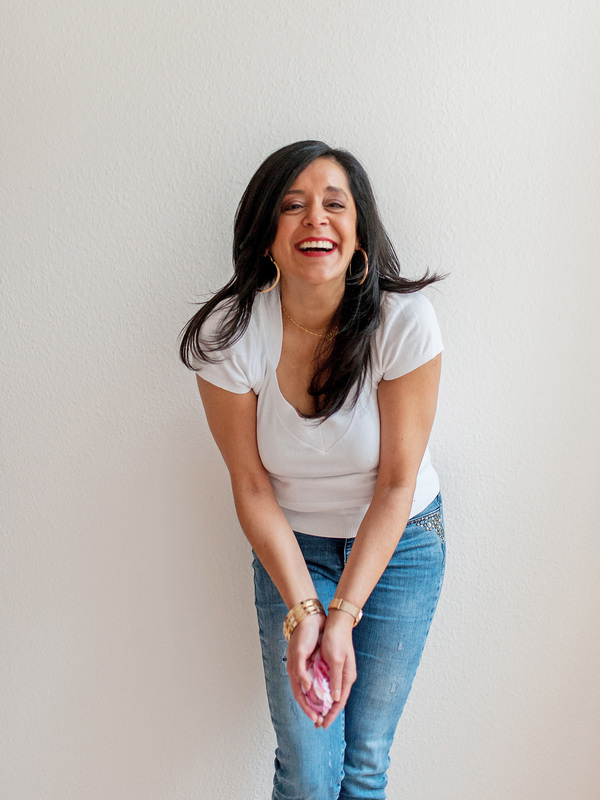 I love your word for the year - I think mine is CLEAR - clear the list of things that I have been procrastinating forever; clear out cupboards and corners; clear out whatever in my life is not working and make space for the things I really love. Two weeks in and so far so good ;o) Look forward to connecting with you in person sooooon! Congratulations on the India Elle spread Meeta. As for this risotto, it blew me away. Wonderful earthy flavours. I totally agree with you with regards to risotto and comfort food. they go hand in hand. The colours scheme in these photos is fantastic, and atmospheric. Goodl luck in the year ahead. Your reflections and plans are very sound. I toast to your success in achieving them.